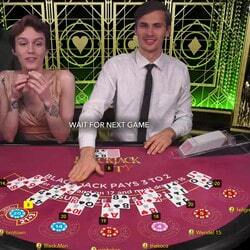 About JackpotCity Casino : one of the live dealers casino ! Making its online debut in 1998, JackpotCity Casino – a proud flagship brand that forms part of The Palace Group network – continues to hold a reputation of excellence amongst its large database of global players. Known as the home of jackpots, this online gaming house is fully licensed by the Malta Gaming Authority, recognised as one of the top independent regulatory bodies in the world. Further to that, JackpotCity also carries the eCOGRA seal of approval, which is reserved for online casinos who consistently adhere to fair gaming practices, swift payouts and responsible and honest functionality. What makes JackpotCity the first choice for many players is undoubtedly its selection of over 400 online and mobile casino games from a tightknit group of innovative industry leaders, which is only strengthened by its growing selection of Live Dealer offerings. These games are geared to bring the excitement of real time play to you, no matter where in the world you happen to be. 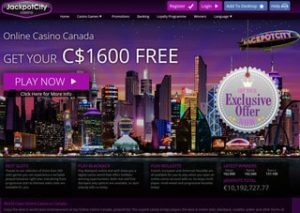 Another factor in JackpotCity’s favour is its customer-focused approach to gaming. The results? An incredible array of daily, weekly and monthly bonus offers, one of the highest sign-up match bonuses you’ll ever find, loyalty rewards like no other, payment options fit for kings and queens, and, of course, unmatched customer service. Let’s delve into your gaming options at JackpotCity in more detail before exploring all the other benefits that await you once you become an official member. When Evolution Gaming and Ezugi launched their cutting-edge selection of Live Dealer games, the online casino world was changed forever. And, thanks to their innovative products, JackpotCity Casino players can now enjoy the best of both worlds, alternating between virtual and real time gaming – all without ever having to leave home. Streamed in high definition to your chosen device, a stylish collection of close to 90 Live Dealer game variations are yours for the playing, including favourites like Blackjack, Roulette, Baccarat, Texas Hold’em and Dream Catcher. What’s more, with new products being launched constantly, like Evolution Gaming’s Live Football Studio and Live Dragon Tiger, as a JackpotCity player, you’ll be first in line to experience ultimate thrills, reaping high-stake rewards and unforgettable milestones with every bet that you make. “As real as it gets” is the tagline that Evolution Gaming greets you with on their site, and, in our opinion, nothing could be closer to the truth. The live broadcast studios, which operate 24/7/365, are not only filled with professional dealers that are incredibly easy on the eye, but encompass a level of attention to detail that you’ll rarely find anywhere else. No matter which game you choose to play, or which table you take a seat at, the electric atmosphere will hit you within seconds and keep you coming back for more – that’s a promise. As for JackpotCity’s other online and mobile casino games, members can look forward to a whopping 400-plus variety, all packed with life-changing wins that – thanks to Random Number Generator software – could trigger at any second. With the majority of these hailing from Microgaming, who are arguably the longest-standing and most respected software developers in online casino entertainment circles, players can expect not only pristine graphics and spectacular audio, but engaging storylines and themes with easy-to-play functionality and hard-hitting bonus rounds. Traditional 3-reel and contemporary 5-reel slots aren’t the only games on offer, though. 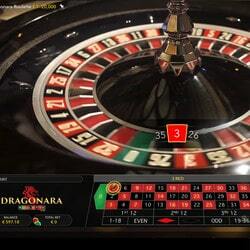 Strategic players who are after a high-stakes win will be engrossed with the virtual table games and video pokers at their disposal. The relaxed, judgement-free online environment means you’ll never feel pressurised to impress as you fine-tune your tactics, making JackpotCity the perfect place to skill up, all while having fun and winning big at the same time. Then there are the life-changing progressive jackpot slots, designed to deliver unheard of payouts that could well turn you into an overnight millionaire from a single spin. Mega Moolah, for instance, has a minimum 1 million prize pool, which grows and grows with each bet made from any player. While Demo Play is only available once signed up and logged in, you’re free to make use of this function as often as you like. It’s a great way to test new games, which are released monthly, and won’t cost you a dime. Once you’ve settled on your favourites, simply mark them as such for easy access next time you log in to deposit. Also keep an eye out for special new game promotions, which can see you raking in free rewards simply for playing – which brings us to our next topic: JackpotCity rewards. The minute you register a real money account at JackpotCity, you qualify for an incredibly generous C$1600 free, which is credited automatically on your first four deposits at the casino, in equal increments of up to C$400 at a time. These 100% match offers are your chance to score big and seeing as what you put in you’ll get out, we would highly recommend maxing it out while you can. In other words, to get the most out of your welcome bonus, it pays to deposit C$1600 in equal increments across your first four deposits. Do this, and you’ll be sitting pretty with a starting balance of C$3200 – plenty to keep you going for days on end, and certainly a boost that would give you more opportunities to trigger a big payout. Once you’ve enjoyed your welcome bonus, JackpotCity will continue to reward you with daily match offers, as well as other daily, weekly and monthly promotions. These, in turn, award free spins, free casino credits, lucky draw prizes and even physical prizes on occasion. Added to this, the second you’ve registered your real money account, you’ll be an automatic member of JackpotCity’s loyalty programme, which awards loyalty points for your wagers. The more you play, the more points you’ll accrue, which can later be exchanged for free casino credits to spend as you please. What’s more, the loyalty programme is tier-based, and the higher up the tiers you rank, the more rewards you can expect to receive. Up to 11 deposit and 5 withdrawal methods are available to JackpotCity players. While deposits made via Visa, Mastercard, ecoPayz, eCheck, flexepin, iDebit, InstaDebit, MuchBetter, paysafecard, Instant Banking and Neosurf are instant, withdrawals processed through Visa, InstaDebit, iDebit, ecoPayz (EcoCard) and EFT or Direct Bank Transfer/Swift can take between 24 hours and 7 business days, depending on the method you choose. For your safety, verification documents are required upon first withdrawal to validate you as the account holder, and generally include a copy of your photo ID and proof of address. Once approved, future withdrawals will be processed even faster than before. As JackpotCity employs state-of-the-art 128-bit digital SSL encryption technology, you can rest assured that all transactions made at the casino are secure, with additional peace of mind knowing that your account and payment details remain protected even when you’re not logged in. Should you have any queries that JackpotCity’s comprehensive FAQ page doesn’t cover, you’re encouraged to contact their team of professional live support members, who are at your beck and call 24 hours a day, 7 days a week, all year round. For urgent queries, we’d highly recommend the Live Chat channel, which provides real time answers by customer service professionals to your questions. For less pressing issues, email would be our top choice – and you won’t have to wait days for a response, either. Another boon is that support is offered in multiple languages to make your experience not only more personal and comfortable, but to ensure that miscommunication is avoided and that queries are resolved right there on the spot. When considering all that JackpotCity Casino has to offer its players, it’s no wonder they remain one of the leading international online and mobile gaming houses out there. 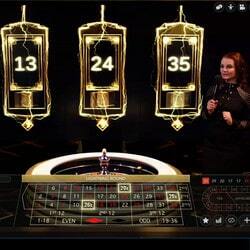 They’ve kept with the times, ensuring their selection of games are regularly updated to include the latest innovations, such as Live Dealer games. They also offer an impressive number of daily, weekly and monthly promotions, as well as globally trusted banking mechanisms for you to pick and choose from as you see fit. Add in their licensing from the MGA and their eCOGRA seal of approval and you’ve got yourself a clear-cut winner. Register today – you have everything to gain, it’s that easy.